If we want to understand the “history of our redemption” we must look at the Crucifix. 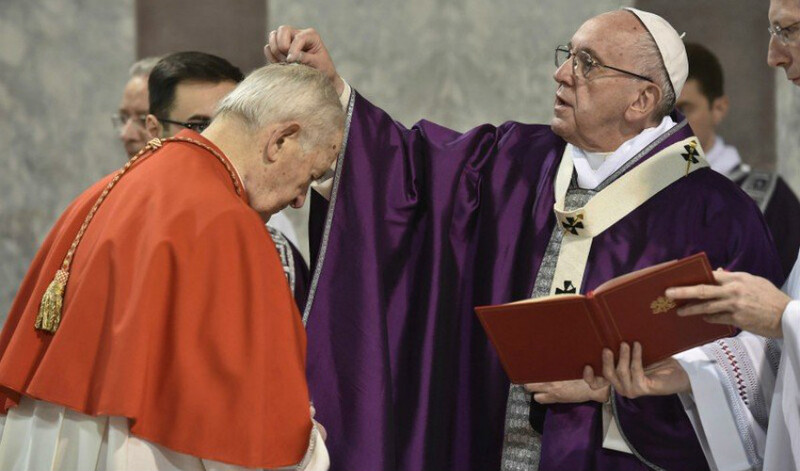 Pope Francis’ homily for Mass at Santa Marta on Tuesday, 15 March, revolved around the mystery of the suffering and death of Jesus, who became sin for man’s salvation. The Pontiff’s reflection focused on the message borne in the image of the serpent. The serpent, the Pope said, “is the first animal to be mentioned in the Book of Genesis”, and is described as “the most subtle”. The serpent returns in the passage of the First Reading, taken from the Book of Numbers (21:4-9), when in the desert the people spoke against God and against Moses. “Then the Lord sent fiery serpents among the people, and they bit the people, so that many people of Israel died”. Then the people repented and sought forgiveness, and God commanded Moses: “Make a fiery serpent, and set it on a pole; and every one who is bitten, when he sees it, shall live”. The Pontiff explained it as “mysterious: the Lord does not kill the serpents, he leaves them there. But if one of them should harm a person”, the person “looks at that bronze serpent and will be healed”. Thus, the serpent is lifted up in order to obtain salvation. At this point, following the course of the day’s liturgy, Francis returned to the passage of the Gospel according to John (8:21-30). Jesus, in a discussion with the doctors of the law, “tells them directly: ‘you will die in your sins unless you believe that I am he’. And ‘when you have lifted up the Son of man, then you will know that I am he’”. The Pope stated that “I am he!” is “the name of God. When Moses asks the Lord: ‘If the people ask me, who sends you? Who sends you to free us?’ What is his name?’ — ‘I am!’”. Therefore: “Lift up the Son of man! Like the serpent…”. Jesus repeated the same concept in a passage several chapters earlier, when he “says the same thing to the doctors of the law: ‘as Moses lifted up the serpent in the wilderness, so must the Son of man be lifted up, that whoever believes in him may have eternal life’”. 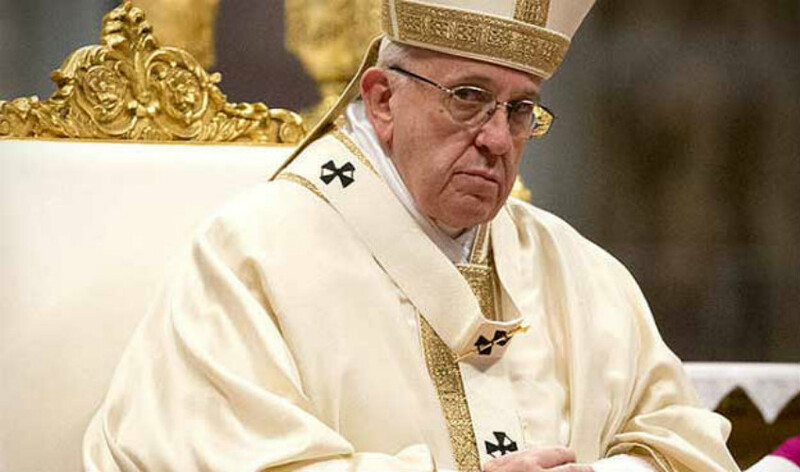 The serpent, the Pontiff clarified, is a “symbol of sin, the serpent that kills. But the serpent that saves: this is the mystery of Christ”. 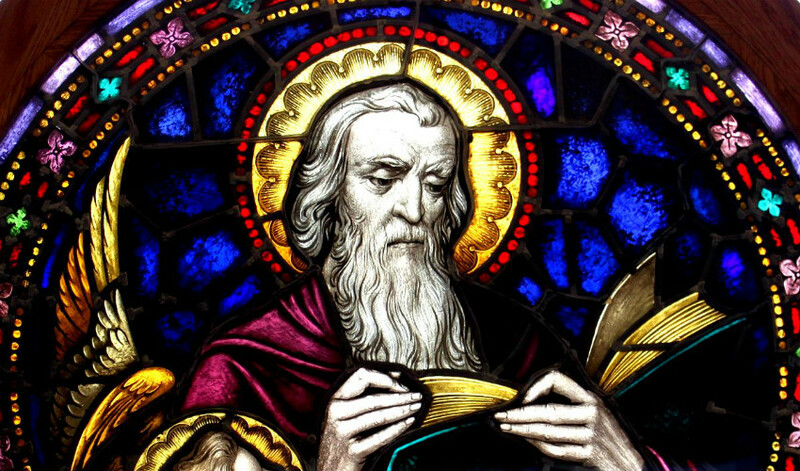 St Paul, the Pope recalled, also spoke of this mystery. “He said that Jesus emptied himself, humbled himself, annihilated himself in order to save us”. Moreover, the Apostle offers an even stronger expression: “he became sin”. Thus, using the biblical symbol, we could say: “he became serpent”. This, Francis said, is “the prophetic message of today’s readings. The Son of man, who like a serpent ‘became sin’, is lifted up in order to save us”. Therefore, we must “look at the Crucifix and see this very mystery: a God ‘emptied of his divinity’? — completely! — in order to save us!”. However, the Pope added, “who is this serpent that Jesus takes upon himself in order to defeat it?”. The answer can be read in John’s Apocalypse, where the serpent is mentioned again. Among other things, the Pope pointed out, the serpent in the Bible “is the first animal to be mentioned and I think perhaps it is the last”, and we read that “the ancient serpent — Satan — was defeated”. Therefore, sin, the Pope stated, “is the work of Satan, and Jesus defeats Satan ‘by becoming sin’”. Thus from the Cross he “lifts up all of us”. 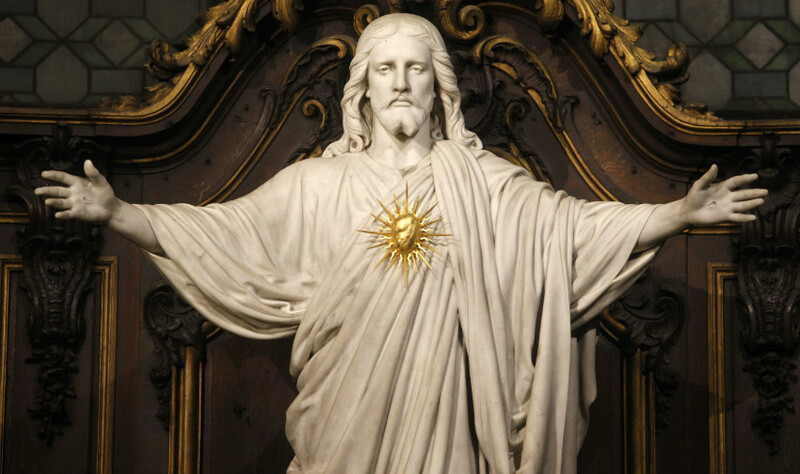 For this reason “the Crucifix is not an ornament, it is not a work of art, with many precious stones, as are seen. The Crucifix is the mystery of God’s ‘annihilation’, out of love”. 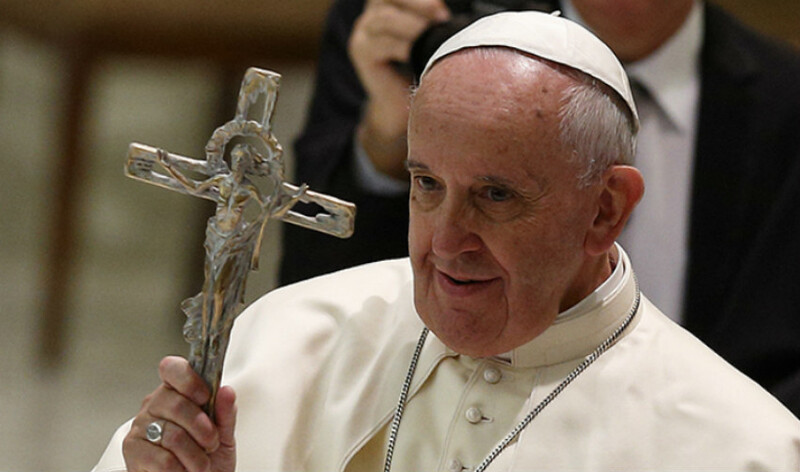 Pope Francis explained that in the desert, the serpent “prophecies salvation”. Indeed it is “lifted up and whoever sees it is healed”. But this salvation, the Pontiff emphasized, was not made “with a magic wand by a god who makes things”. It was made instead “with the suffering of the Son of man, with the suffering of Jesus Christ”. The suffering that led Jesus to ask the Father: “Father, please, if it be possible I would not drink this cup”. Here his anguish is seen, but accompanied by the words: “but your will be done”. This, the Pope concluded, is “the history of our redemption”, this is “the history of God’s love”. This is why, “if we want to know the love of God, we look at the Crucifix”. There we meet “a man who is tortured, died, who is God, ‘emptied of divinity’, tarnished, who ‘became sin’”. Then came the final prayer: “May the Lord grant us the grace to understand this mystery a little better”.